Rainer Lezius presents H.H. Dalai Lama our hospital and winterschool projects – Förderverein Sani-Zanskar e.V. 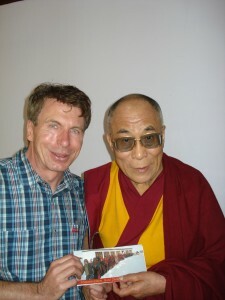 “When he was visiting Zanskar in 2009, only eight people were given the opportunity to meet him in person. 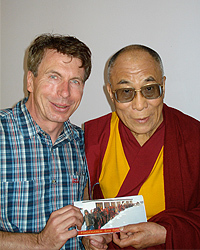 Rainer Lezius who has been acting successfully as the representative of the Förderverein Sani Zanskar was granted an audience. 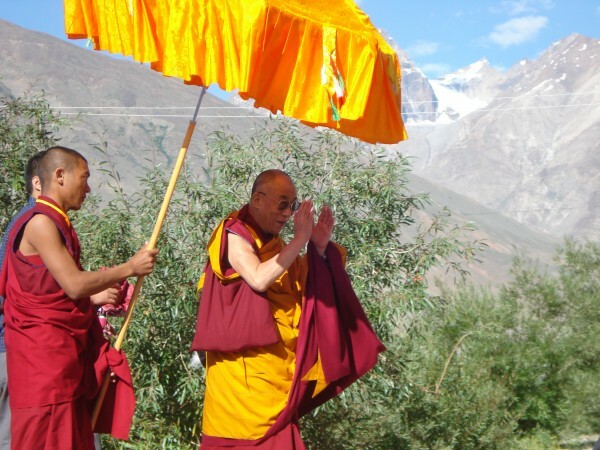 His Holiness the Dalai Lama underlined the importance of aid organizations for safeguarding the traditional Tibetan heritage and culture. We are pursuing this objective as well. He acknowledged and blessed our activities, which greatly supports belief in our projects amongst the people. Furthermore, he pointed out that he was hoping for believers and supporters not merely showing their devotion by prostration and saying “I do believe…”, worshiping a fetish or even him. This did not signify any true development, was much too simple and futile. He wished for people facing up to the Buddhist philosophy, its scripture and above all themselves.